Display Quartz Compositions on your Mac OS X 10.4 desktop. Is there a better alternative to QCDesktop? Is QCDesktop really the best app in Desktop category? Will QCDesktop work good on macOS 10.13.4? 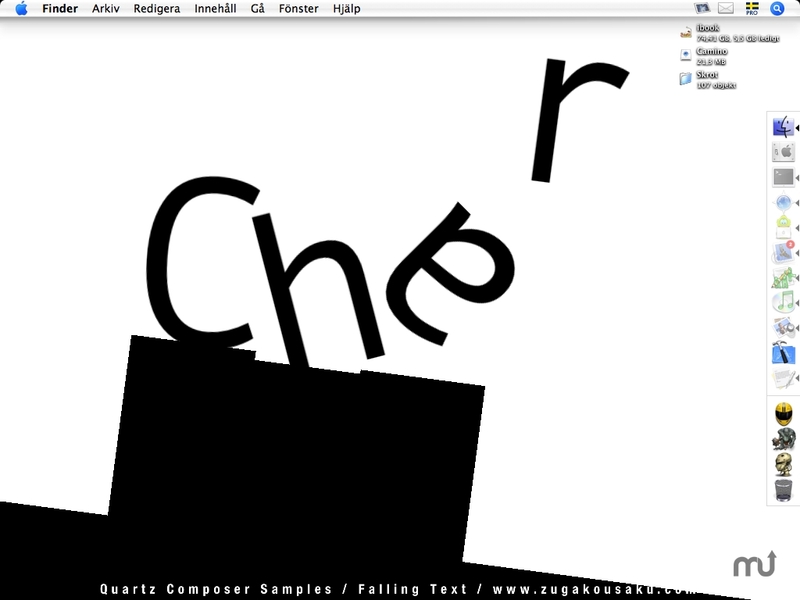 QCDesktop displays Quartz Compositions on your Mac OS X Tiger desktop. Your desktop image is given the life of Quartz Compositions that can display any kind of animated art; a blue sea, an RSS feed, a clock. QC Desktop imports settings from the Screen Saver preferences database. To modify composition settings, open the Screen Saver preferences panel, select the composition and click "options…". You can jump directly to the screen saver preference pane by selecting "Composition Options…" in the QC Desktop menu. QCDesktop needs a rating. Be the first to rate this app and get the discussion started!